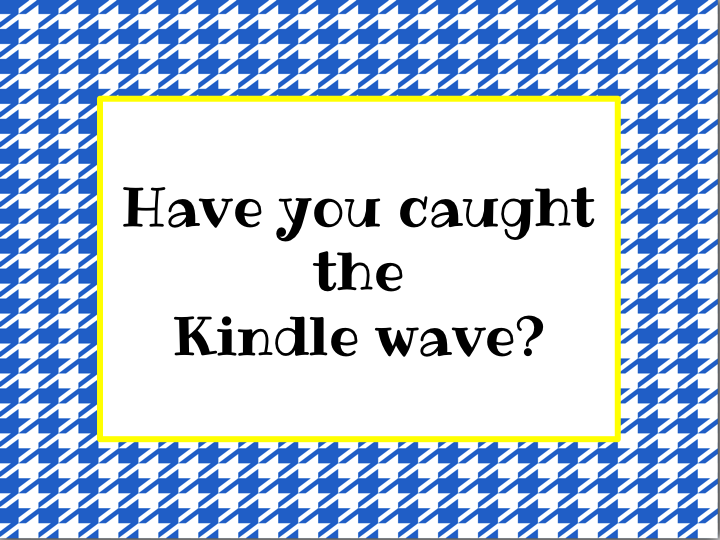 Have you caught the Kindle wave yet? My friend Sandy was the lucky recipient of a grant for 15 kindles. How great is that? She is using these containers (below) to store her kindles. They are the perfect size. She is planning to drill holes in the back so they can charge when they are in the drawer. Do you remember the old commercial that said “let your fingers do the walking?” I let my fingers do the walking to see if I could find any good deals for books that could be downloaded to kindles. I’m not sure if these bargains are limited time offers or not so I suggest you get them sooner rather than later. Do you have a site that you would recommend? pixelofink.com posts daily lists of free or discounted kindle books for all ages. Great resource for this idea! Thank you! I'm going to go add that link to this post. There are LOTS of growth educational games for the Kindle as well. Goto Apps. My 5 yr old grandson plays them a lot! I am a retired teacher. Kindle has a lot of GREAT educational games. My 5 yr old grandson plays them a lot! I am a retired elementary teacher. Just go to Apps to find them. There are sight words, counting, mazes, math ( + and – ), and so much more! !